60 Minutes last night did a great job analysing the ‘Big Australia’ debate, and certainly put the ABC’s recent biased investigations to shame. Liam Bartlett: “How big do you want to see Australia”. Alan Tudge: “I think Australia can grow. But it is the question on how we manage that growth”. Alan Tudge: “That is the central question. It depends on the period of time you are looking as well”. Alan Tudge: “So, it again depends on how well we can manage this growth, right”? Liam Bartlett: “Yeah, but give me the figure”? Because the ABS said 25 million by 2051, but we hit that last year. So, give me that figure”. Alan Tudge: “The ABS figure was based on looking at the past growth rate and projecting forward based on that growth rate”. Liam Bartlett: “Yeah, and they got it wrong”. Alan Tudge: “Depending on what our settings are will determine what ultimately our population will be in 2050. Undoubtedly we will be bigger”. Liam Bartlett: “So, when are we going to hit 30 million”? Alan Tudge: “We outline a 10-year, for example, infrastructure pipeline”. Alan Tudge: “In part we’re going through a process”. He doesn't know and he doesn't care where his policies are taking us and as for asking him about "ultimately" Alan Tudge and co don't see an end point, an "ultimately". Tudge just has to bear in mind the mantra that "it all depends on how growth is managed". It's recklessness. Further to Alan Tudge having no idea what population numbers will be in the future. And the 60 minutes piece. If we have reached 25-million 32 years early, it defies reason that will slow to 37-mil by 2050 as long predicted. What demographer, Peter McDonald, says is pretty guarded, sanitised, and I suspect the answer he gives to most politicians. 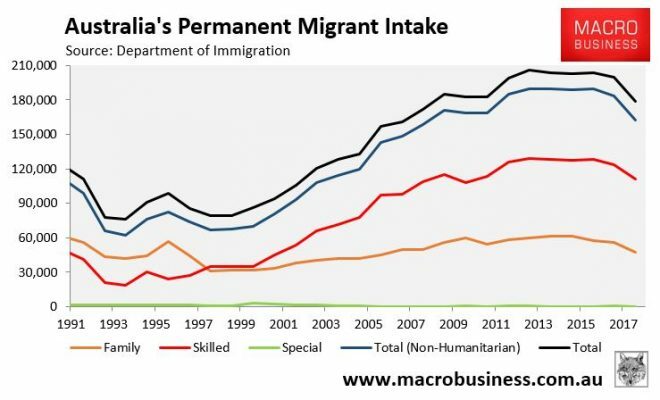 That its very hard to guess WHEN Aust will reach 50 and 100-mil, doesn't mean we shouldn't try.